I love the ability to come to any class and feel like I’m at home with my people. Life is crazy and I don’t have a set time to do CrossFit, but I know I’m welcome at any class. Also, I don’t often push myself hard enough without outside encouragement. I am fine going through the motions because even going through the motions is a great workout. The encouragement I get from the coaches as well as each coach’s ability to work around my many quirks have been some of the sustaining factors of my repeated attendance. I am still terrified of being upside-down, I am working hard to develop at least a little upper body strength and I continue to reverse what my children did to my core. 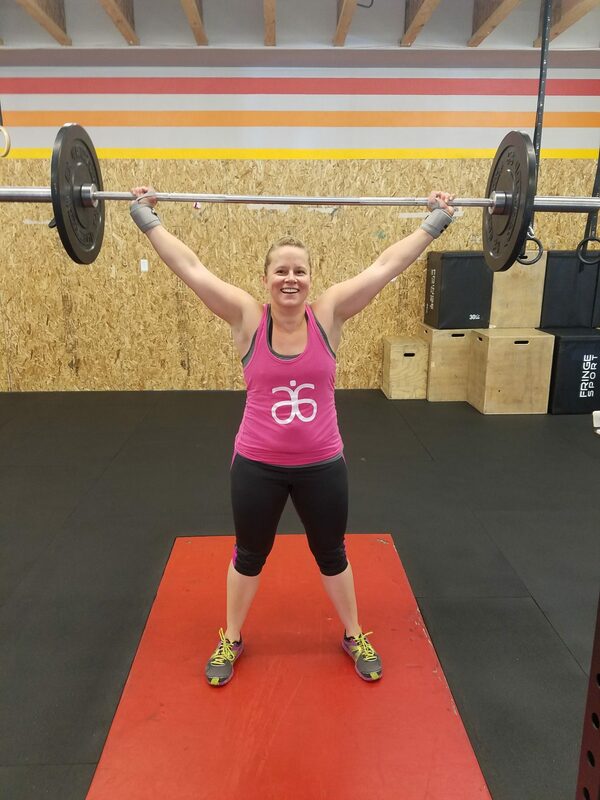 So you will often hear me say, “I can’t do that…yet.” Even so, I never feel inadequate or that I don’t measure up, because CrossFit is “infinitely scalable.” Lastly, I started attending the new nutrition class. I absolutely loved what it has done for my energy and am confident that the fuel I am giving myself helps not only with my workouts, but with my every-day life as well.